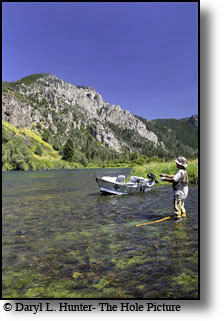 The Henry's Fork of the Snake River, located in eastern Idaho, is one of the most famous trout streams in all of the United States. 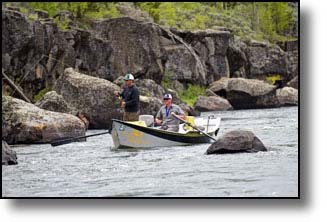 It's legendary hatches and abundant large wild rainbow trout make the Henry's Fork one of America's top fly-fishing destinations. 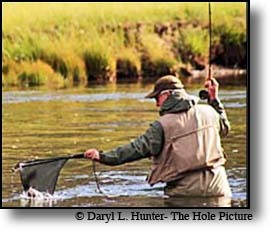 The river flows for approximately 150 miles and within its journey passes some of the more classic dry fly water in the United States. 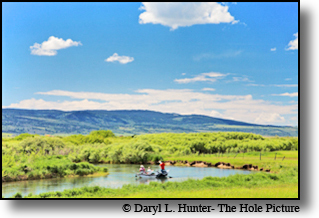 Gentle flowing meadowland, pocket water, and spring creek like sections make up much of this legendary fishery made popular by Avril Harriman the railroad man. 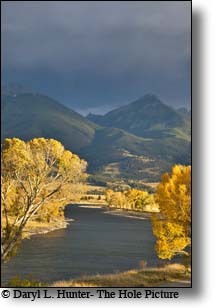 The Henry's Fork of the Snake is a spectacular river and fishery. 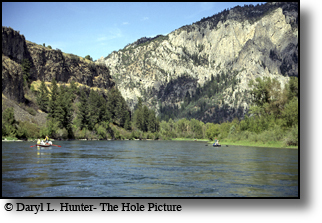 Anglers come from all over the world to this river to fish its diverse and productive waters. 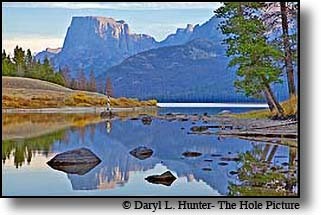 Henry's Lake is the source of the Henry's Fork River. 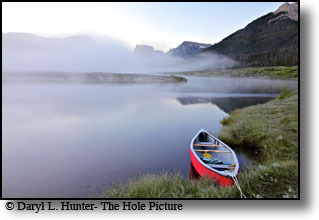 The lake is fed by seven creeks, and by springs in the lake bottom. It is very rich water for trout, loaded with weeds and insects. 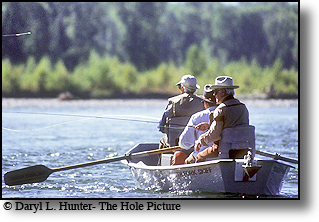 Henry's lake is an awesome fishery in its own right and has produced many state records. The river flowing from the outlet dam is just as rich as the lake. It winds across the grassy, often wildflower-covered meadows of Henry's Lake Flat. 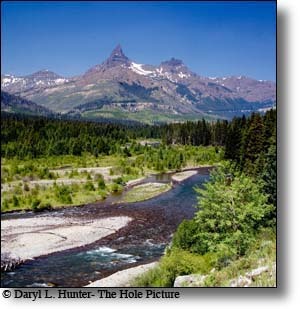 This is a section of quiet runs and deep pools with often marshy or boggy banks and many spring-fed tributary creeks. 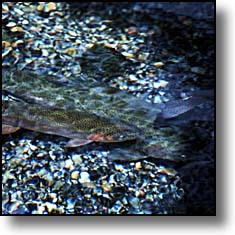 The fish do not have many holding spots due to an almost featureless bottom, and tend to gather in the deeper holes. 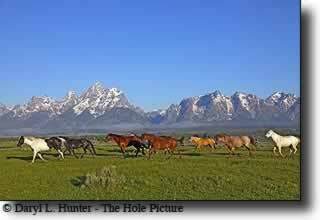 This is a six-mile meandering meadow section flanked on three sides by mountain ranges in excess of 10,000 feet. 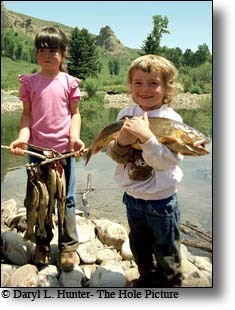 The fish run large, seldom less than two pounds. 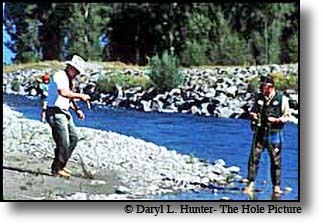 One must seek concealment or kneel while casting and keep low until the fish are hooked. The first half of this section from Henry's Lake to where Big Springs flows into the river is a good stretch of water that is less visited than much of the water below Island Park Reservoir. 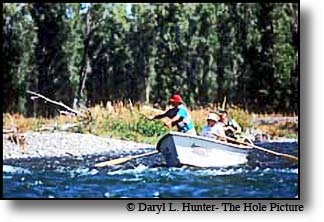 Above the confluence of Big Springs and on to the lake outlet is an all-wild trout fishery and receives no hatchery fish. This section is the least fished of any part of the river. For the angler who hates crowds Henry's Lake Flat is the place. Below the Flats you can expect about two miles of dense willow swamp before the river meets the 480 million-gallon daily flow of 52-degree water from Big Springs. From Big Springs down to the U.S. Highway 191 bridge at Mack's Inn the Henry' s Fork is a deep swamp-marsh stream of very large pools with a mostly silt-covered bottom. There is gravel underneath the silt, and it shows in some places, but in others the silt is deep enough to be problematic. 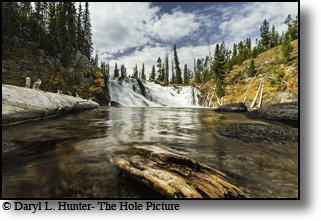 This is however a cold and productive stretch of the Henry's Fork. 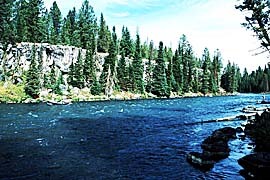 Below Island Park Reservoir begins the one of the most popular stretches of Henry's Fork River. 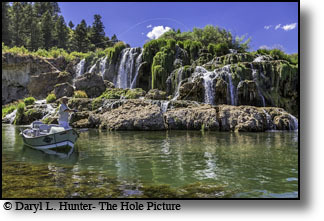 A mile below the tail-water outflow of the reservoir the Buffalo River flows into the Henry's Fork. The junction of these two rivers is the start of Box Canyon, which is famous for its large rainbows that inhabit this section of tumbling water. 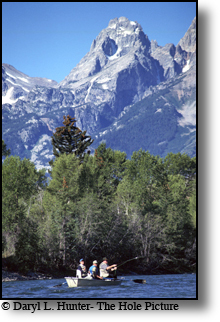 The fishing here is especially good for anglers looking for an "easier" place to fish. This section is roughly 3 miles long and can be entered most easily by the road turning into Island Park Reservoir just north of Pond's Lodge, then turning off just short of the dam down to the boat launching spot about a half-mile downstream from the dam. Below Box Canyon the Henry's Fork slows down and widens once it emerges from its narrows on its way through the community of Last Chance. Here the Henry's Fork looks more like a giant spring creek than a river. This seven-mile stretch through Last Chance and Harriman State Park is not only home to an abundance of large wild rainbows but also acclaimed for its prolific hatches. The flat meadow water of the Harriman State Park encompasses some of the best dry fly fishing anywhere. These college-educated rainbows can be very selective and unpredictable and have humbled many of the world's finest anglers. This meandering meadow water extends for about 9 miles, starting at Last Chance below the mouth of Box Canyon and extending downstream to the summer home community of Pinehaven. The Henry's Fork below Osborne Bridge lies about three miles of water; there are some nice glides, a few riffles then the smooth water stretch approaching Pinehaven. The half or three-quarters of a mile of water just above and below Pinehaven is a truly great stretch of water with almost as many hatches as the Harriman State Park but respect the private property. Below the park the Henry's Fork flows for a few more miles before reaching Riverside Campground. After passing Riverside Campground the river enters Cardiac Canyon. This canyon provides tremendous pocket water fishing for nearly 8 miles before reaching Upper and Lower Mesa Falls. If you float this section know what you are doing. 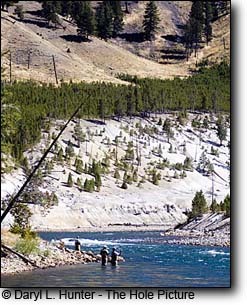 From the Riverside Campground downstream to the confluence of Warm River, the Henry's Fork drops about 1000 feet in elevation. This includes about 15 miles of water. 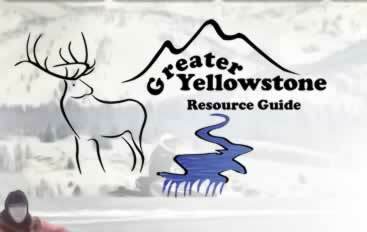 Most of this area is inaccessible and requires some hiking into a steep canyon. 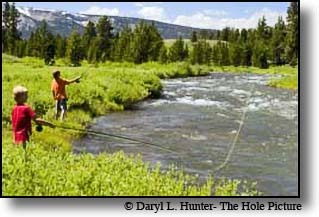 The water is very similar to the Box Canyon and you fish it much the same way. 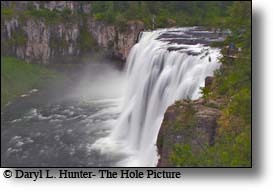 After the Henry's Fork cascades over Mesa Falls it slows down its pace The river flows for several miles before reaching the confluence of the Warm River. Brown trout and a small population of Yellowstone Cutthroats join the population of rainbows below Mesa Falls. Much of this stretch is accessible from a road that runs along the north bank of the river. 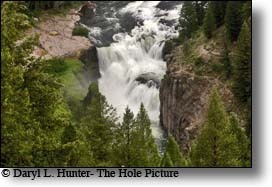 Below Warm River the Henry's Fork takes on a different look with more defined pools, runs and riffles. 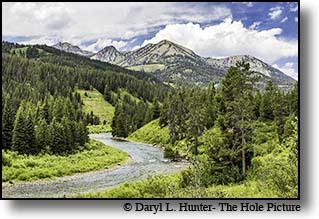 After joining the Warm River the Henry's Fork flows for several more miles before reaching Ashton Reservoir. The access is very good and most of the water is wadable. 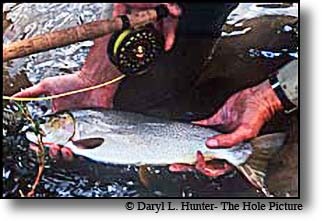 This section of Henry's Fork has a large population of trout, but since it isn't under the protection of special regulations many of the fish run small, there are some big ones however so always be ready. 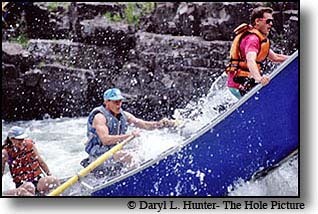 This section is also an easy float. Below Ashton Reservoir is another tail-water section worth fishing. The seven-mile area from Ashton Dam to Chester Reservoir is an excellent tail-water fishery. 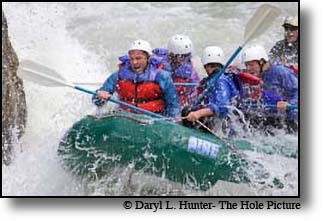 The hatches here are very dependable and receive lighter pressure than the upper parts of the river. 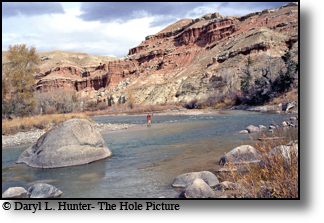 The section of the Henry's Fork below Chester Reservoir is a good section of river but has more limited access. Some quality fish are found throughout this stretch of river. Access to Henry's Fork River can be found along Route 20, Route 47, and other side roads along the river. 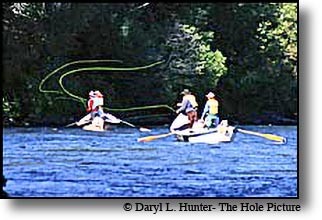 There are several areas to fish along the river that are clearly marked. The Teton River is rather bucolic as it winds its way through Teton Valley below the Grand Tetons but its character changes rapidly after entering Teton Canyon.